Mr. Yan has extensive experience in high-tech industry and cross-culture management. 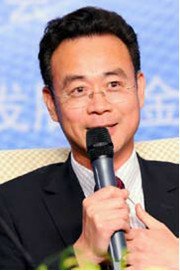 In last decade, He has held various senior management positions in display industry including Chairman, TCL System Technology; Managing Director, Barco Greater China; President, TCL Global Flat Panel Display BU; President Europe, TCL-Thomson Electronics, …He holds a Bachelor degree from North-Western Polytechnic University (China), a Master of Engineering and a PhD in Applied Sciences from Louvain University (Belgium). 4K, OLED and Laser Projectors have been the hottest topics in last 12 months. Laser projectors are the only new technology for big screen (> 100 inches) and ultra-high resolution (4K+) simultaneously. AVANZA’s GreenOmni laser projectors (5000–10000 lumens) have demonstrated unique advantages over LCD and LED display for big screen application, while OLED is still limited to small screens. It is believed that in various applications like Auditorium, Exhibition, Museum, Digital Signage, Control Room, Simulation, and Private Theater…, laser projectors (especially in multi-projectors blending utilization) will become the mainstream solutions. Moreover, AVANZA has successfully brought the life cycle price of its laser projectors lower than traditional lamp projectors. This will certainly contribute to accelerate market development of this new projection technology, exactly like what happened in TV industry in last decade where LCD has quickly replaced CRT. ‹ How will Regulations Affect Roll outs of Laser-Based Projection Systems?